After the most magnificent May, the glorious weather continues to shine and brings with it excitement of summer, when sunny days lead into warm evenings, wedding fever truly hits! It’s the most popular time for couples to tie the knot, and with an array of inspiration to be taken from the season it’s easy to see why! Although wonderful weather is never guaranteed, particularly in Britain, the summer months bring warmer weather and the chance to get outdoors and enjoy it! The opportunity to gather your loved ones in a beautiful outdoor space and say your ‘I Dos’ surrounded by nature and fabulous foliage is one of the many advantages of a summer ceremony. 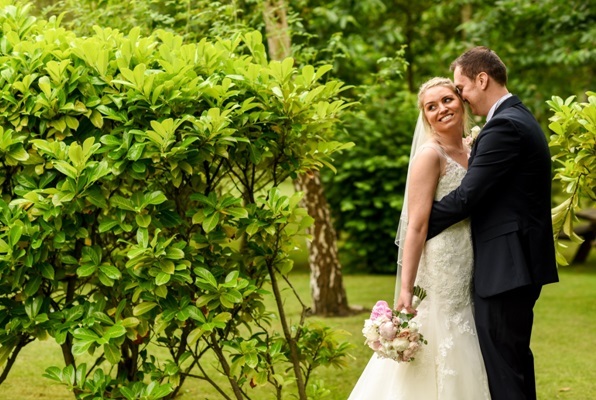 Our Summer House is an idyllic setting for alfresco nuptials with manicured lawns, vibrant summer blooms and gorgeous greenery it’s a picture perfect place to wow your guests and make memories to last a lifetime. Regardless of the time of year, when asked to think about weddings ‘the Dress’ is surely high on the list of priorities for any Bride, and the summer season offers fantastic inspiration and lends itself perfectly to wedding attire. Annual wedding trends often dictate bridal gowns, but timeless styles that are perfect for warmer weather are also staples in any Bridal boutique. From delicate, sheer detailing to elegant, flowing fabrics, tea length hemlines and even floral applique – summer really does offer so much inspiration that will guarantee pure style and sophistication on your big day. It’s not just the ladies that can draw on the season for ideas for their wedding wardrobe; the gents can incorporate brighter colours and lighter fabrics to be stylish and comfortable such as light blue, grey & beige. It’s often the little details that can transform a wedding – the personal touches that encompass the personalities of the happy couple and make the day truly unique and special. Gaining inspiration from the season can help tie everything together and create a natural flow to your wedding. Whether it’s a specific theme such as rustic, shabby chic décor with pretty florals & delicious naked cakes with fresh, seasonal fruits or a Bohemian, beach style of neutral tones, beautiful textures & gorgeous greenery. Even a broader colour scheme of bright summer shades can be used as a basis to work and build from to co-ordinate everything perfectly. When thinking of summer, enjoying time outdoors with family & friends with a cold, refreshing beverage in hand is an image conjured up by many. Warm afternoons spent relaxing and soaking up the rays with your nearest & dearest is the perfect summer pastime and this doesn’t change on your wedding day. 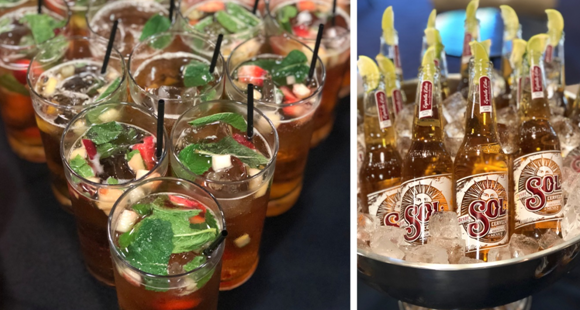 Following your ceremony, treat your guests to a delicious cocktail or refreshing beer to compliment an assortment of delectable canapés – seasonal drinks such as Pimms & Lemonade are perfect when the sun is shining and when enjoyed again year after year will be sure to evoke memories of your special day! Join us at our next Open Day on Sunday 24th June to see how we can help put your summer wedding plans into place!